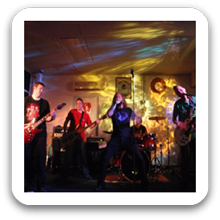 Sydney Band 428 – With all band members having vast experience playing in bands, Sydney Band 428 are a tight sounding rock group dedicated to pleasing our listeners at pubs, parties, and back yard shin digs. We formed this group because we enjoy playing live and putting our skills to good use. We play loud, fast energetic rock covers.